SPACE STATION NATHAN: Your Horrorscope is BACK! This one really made me laugh. 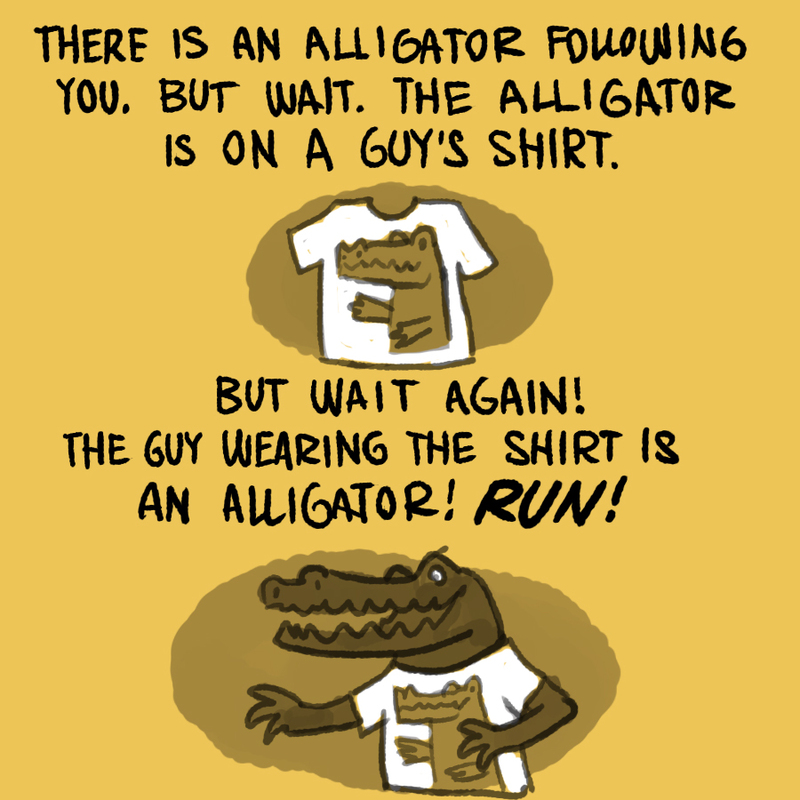 And want a t-shirt with a picture of an alligator wearing an alligator shirt. I know somebody who replaced a picture of him with the picture of his honey, who in return had replaced her picture on her website with the picture of him with the picture of somebody entirely new in the picture of her with the picture of him. Hope it is not much different. This one made me really think!